Cinder block is an excellent building material. They are strong, weather resistant, fire proof and relatively inexpensive. All of these characteristics make them an appealing item for the prepper and homesteader. There are however a few things to keep in mind when working with cinder blocks. First of all they are heavy, 38 pounds a piece for a standard 8 inch block. This means that they need a good foundation, or “footer” to sit on. Standard building practices call for a block wall to have a footer that is twice the width of the block, 8 inches thick, and 18 inches deep in the ground. Secondly using the right mortar is important. You can buy premixed type S structural mortar or you can mix your own using 1 part portland cement to 6 parts sand. Because of their strength and water resistance, blocks are the ideal material for building a below-ground food storage area, or root cellar. Below ground, the stable temperatures and high humidity act like a natural vegetable crisper. This lets you store large amounts of garden produce such as apples, potatoes, cabbages, or onions cheaply for most of the winter. 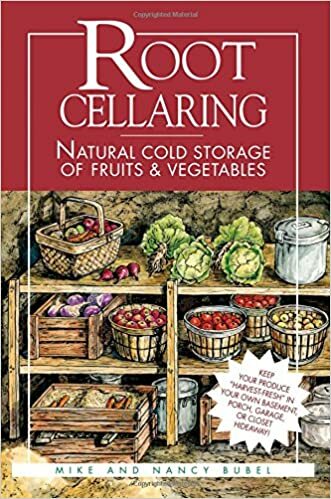 I don’t have time to go into all the details of building a root cellar in this article so if you want to learn more I recommend getting a copy of this book. It not only shows how to plan and construct but also shows a ton of tips and methods for making your harvest last as long as possible while maintaining good flavor! Making a long-lasting, easy to clean house for dogs out of blocks might sound like a lot of work but if it’s done right it will last fifty years or more with no repairs, even with large or destructive dogs. Start with a 4-inch thick concrete slab that is about 6 inches wider on each side than you want your dog house, lay blocks 4 to 6 high and secure a metal roof. Then you will have a forever home for your best friend. Building a chicken house is structurally the same as the dog house. But keep in mind chickens have different needs from dogs. Such as a smaller opening up off the ground with a door that can be locked at night and roost poles for your birds to sleep on. Living in the mountains where flat land is hard to find and erosion is a constant problem means we need lots of walls for leveling land and holding back dirt. Retaining walls need to be strong to hold back the tons of dirt and water that press against them. This means reinforcing the block by filling the chambers with rebar and concrete. Also, it is necessary to put drain pipes that run behind retaining walls to help water run around the walls to help prevent them from failing in heavy rains. Around the house, we use solid “cap blocks” to make raised beds. These can be mortared together for permanent beds or dry stacked for a more temporary garden. I like to till the soil then add sand and peat moss for rich well-drained soil. If you lay your blocks a foot or two above the level of the soil in your bed you can put a piece of plastic or glass over the raised bed to turn it into a cold frame for growing greens in the winter. Whether its just two blocks with a cooking pot set on top and a fire in the middle or a pit smoker big enough to fit a whole hog cinder blocks can be used for outdoor cooking. The biggest problem with using blocks around a fire is that the high temperatures can cause the blocks to crack. Filling the chambers with sand or concrete helps reduce the chances of this happening. If you really want to build something permanent you might want to line it with fire brick or use chimney blocks that can take more heat. With the increasing use of automobiles in attacks parking barricades and bollards are becoming more common. They might not be pretty but they do help save lives. Just a few blocks if properly reinforced will stop a slow moving car, or destroy a fast-moving one. I have personally tested a number of calibers against a dry stacked block wall and none of my pistols will penetrate a block wall. This includes a 300 grain .44 magnum wadcutter! I also found that no rifle round smaller than a hard-nosed .308 will reliably penetrate the same blocks. If you fill the blocks with sand it takes multiple .308’s in the same place to punch through. I can only imagine that a wall filled with reinforced concrete would take some kind of very large high-velocity round such as the .50 BMG or explosives to breach. The biggest issue with using the block for ballistic protection is the concrete shrapnel or “spalling” that flies off of the block when it takes a hit. These pieces can fly a hundred feet or more in any direction and cut or even blind a person. Because cinder blocks offer better protection than most conventional building materials they can be used to make an observation and listening post. This is a small fortification away from the main house or compound. The idea is that the noise, activity, and light from the main building will draw attention but also blind those inside to movement or noise on the perimeter. Watchmen are posted in a small foxhole or pillbox concealed outside of the main compound. A small block building a few hundred feet away from the main house and made to look like a garden shed or pump house with small “arrow slit” windows would be an ideal place to give a nasty surprise to any intruders that attack the main buildings. When we moved onto our property it had several old outbuildings that were beyond repair and had to be torn down. Instead of driving almost an hour each way and paying $55 a load to take the old blocks to the county dump we simply put them in the ruts and potholes of our driveway. Just drop the whole blocks into the holes and smash them flat with a sledgehammer. But don’t forget your safety glasses! A fall out shelter is built a lot like a root cellar, with a few major differences. First of all, it needs to have a heavy steel door and reinforced roof. Second, it needs to be sealed airtight with the exception of a single hepa filtered air vent. And third, it needs to be outfitted to live in for a minimum of the fourteen days that it takes for the worst of the radiation to break down. Blocks can be used for makeshift shelving, two blocks and a board is all it takes. They are not pretty but they are strong. Don’t go to high though because they can become unstable if you stack too many shelves on each other. This is a favorite one of broke college students. These are the steps to our back door. They were some work but very inexpensive and they will last practically forever. Two solid cap blocks stacked on each other with a little mortar in between gives will give you a solid step, that is the right height. They can be dug back into a bank and set on the soil, but if you want them to be permanent they will need a concrete pad three or four inches thick to sit on. Make sure they are properly level and coat them in a thin layer of stucco to make them look good. If you want extra traction in rain or snow you can sprinkle coarse sand or small gravel onto the wet stucco to give your steps a rough tread. A cinder block wall can be used to make a small levee to channel water away from flood-prone areas. They are more expensive than dirt levees but take much less space to do the same job, so they are best used in places where space is at a premium. A levee needs extra attention paid to the footers because moving water will try to dig or scour its way under a wall. This means it is a good idea to make the foundation as deep as possible. You can make an open water storage tank above or below ground using cinder blocks. Just keep in mind water is heavy so the base needs to be a thick concrete pad of 6 inches. Because of the weight of the water, the blocks will need to be reinforced with rebar and concrete. Concrete and blocks are porous so water will seep through them with time. To make the cistern watertight treat the inside of the cistern with a thin layer of pure portland cement. This will fill in the small holes that the water seeps through. There are a lot of other projects that can make use of cinder blocks if you use your imagination a bit! As you can see, the uses of cinder blocks are vast. Sometimes you can find used cinder blocks for little or nothing on Craigslist or if you see where someone is remodeling or demolishing a building. Sometimes contractors or homeowners have small amounts left over that they are glad to let go of so they don’t just sit in the driveway or yard for years. Even if you have to buy your own, they are something you can get 10 of at a time and work on your project as you can afford it. You really can build that dream bunker or root cellar $30 at a time. Little steps can go a long way towards a big project. As someone that participated in building a cabin a few hundred dollars at a time, I can tell you that amazing things can happen if you just get started on them and keep at it as you can! What fun projects have you used cinder blocks for? Please share with us in the comments or feel free to write us at [email protected]. I Have not seen a new “cinder” block in my life time, and I’m old enough for SS. The blocks you are referring to are no longer made from “cinder”. They are made from concrete and sand. They are now known as concrete masonry units. Picky, picky – we all know what she’s talking about! DEAL WITH IT!!!!! sorry carol but yes the “low density concrete blocks” commonly sold at home improvement stores in the u.s. can contain up to 25% fly ash from coal burning power plants, and are commonly called “cinder block”. Yup! There may or may not be fly ash. Fly ash is used in hot climates to slowdown the cure time of cement. Fly ash also weakens the strength of the concrete block. It would have been better if you had actually shown a retaining wall instead of a cinder block foundation. Well, I am to say that the technique has been described very well and in better way. Glad to read this post. Portland and sand will give you a crumbly low strength mortar, need to add lime to the mix. I,ve used broken cinder blocks to lining the the outside of borders so I can run the lawn mower close and not use the weed wacker. Our first home was built out of masonry blocks. It was built in the late 50’s (Coldwar era). It was a bugger to hang a piece of wall decor, and remodeling was a messy nightmare. However, when Hurricane Michael hit the Florida panhandle in October, these were the houses that held fast. Comments were made about their stability and I reminded everyone that these houses were built to withstand an atomic blast. Yes! These cinderblock or masonry blocks are durable! I live in eastern NC where the water table is high. We have ditches all over the place here to channel the water to the sound. It rains a lot in the late fall and winter and the ground is soggy unless you are built on a manmade hill. Is there a way to build a root cellar in a place like this and keep the water from seeping through the “floor”? Cinder block – cement block, what ever we who use them know. I have a rental property I bought in 1980 the lower half is made of concrete filled cement block and it survived the 1964 Alaska earthquake with no damage and while many buildings had damage from our recent, November 30 earthquake my house included this house still doesn’t have any damage. My goal is the next house I build will be of cement block filled with concrete and under each window outside for “aesthetic” enhancements I will have river rock against the outer wall this will be for ballistic protection for shooters defending the house. Add 2 inches of foam insulation on the inside and outside and you will have a warm house.